Are you wondering could there really be a link between gluten and arthritis? It’s amazing to me how many health problems gluten can cause if your body can’t digest it properly because of celiac disease or gluten intolerance. In addition to my career as a writer I am also a part time dental hygienist, I have been now for twelve years. My wrist and arm has really taken a beating from so many years of constant repetitious movement. I developed bursitis and also arthritis in my late twenties as a result of practicing and most days at work were just brutal for me. After about two to three months of going gluten free not only did my acne almost clear up but believe it or not my arthritis also almost completely disappeared! I never would have guessed that arthritis could be related to me eating gluten until the more I stayed away from it the better I felt. 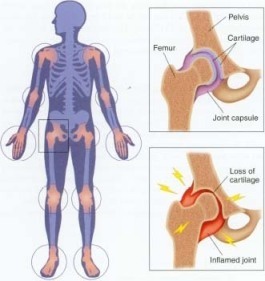 Arthritis could be caused from a number of factors like an injury, overusing joints, or trauma. The intake of gluten can very well be a factor in the autoimmune reaction your body gets when gluten can not digest properly. Gluten may affect and may even worsen the arthritis condition. If you have arthritis you very well may just need to make a few dietary changes to feel better. Remember that gluten may not necessarily be the cause of every case of arthritis but don’t rule it out as a possible factor. As always check with your doctor first, and discuss possibly going on a gluten free diet.